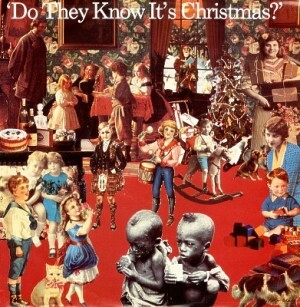 This song was written by Bob Geldof and Midge Ure in reaction to television reports of the 1983–85 famine in Ethiopia. It was first recorded in 1984 by Band Aid , a group of British and Irish singers who got together to raise money for Ethiopia. Diphthong sounds are exploited this time in this song /aɪ/ /eɪ/ /əʊ/ /ɪə/ /ɒɪ/. - Watch and listen to Do they Know it's Christmas and fill in the gaps with the missing words. - Can you guess who the singers are?